As a writer, your social media followers and fans hold you to higher standards of grammar mastery. So when you are posting on a social network like Facebook or Twitter, it’s important to make sure your updates are error-free. At Web Design Relief, we know that in addition to being a writer, sometimes you have to be a proofreader too! So we’ve modified the famous five-second rule to help save writers from embarrassment. Most of us are familiar with the well-known five-second rule: You can still eat something that falls on the floor if you pick it up within five seconds. 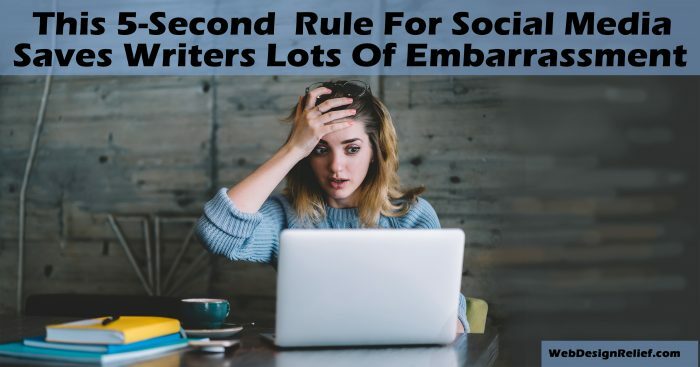 Here’s our five-second rule for writers when using social media. After you have written a post or tweet for social media, take your hands off the keyboard (or cell phone screen)—and spend five seconds proofreading before you hit send. These five seconds will save you a lot of embarrassment and heartache. Because there’s nothing more awkward for a writer than getting called out for silly grammar or punctuation errors. Unfortunately, there are social media users (and, ahem, trolls) who thrive on nitpicking about the most innocent typos and mistakes. Some people gleefully jump on opportunities to heckle you. When you hold true to the five-second rule, you’ll give potential haters and shamers less ammunition. 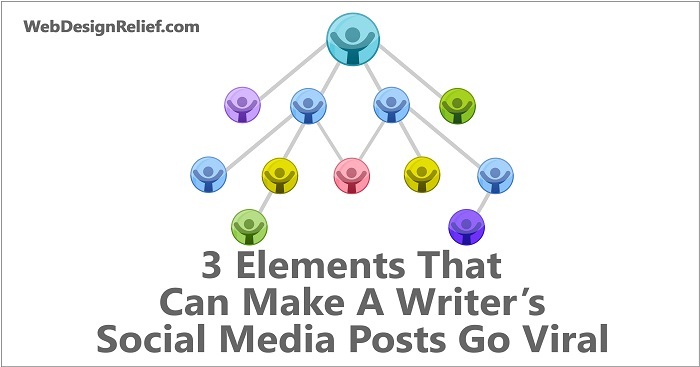 Compose your posts in a word processing program, then cut and paste into your social network of choice. Instead of typing your status updates and posts directly on a social media platform, write them in a program like Microsoft Word. Then you can depend on spell-check to help you proofread. You can also invest in a third-party proofreading program (here are a few to check out). Read backward. Instead of reading from left to right, proofread by reading from right to left—that is, reading backward. This method forces you to slow down and look at every individual word so you won’t accidentally skim over a typo. Review your images. Sometimes the way an image looks in a program on your computer is not the way it will look when you hit “publish” on social media. Social networking platforms like Twitter, Instagram, and Facebook will automatically adjust the screen resolution of your images—whether you want them to or not. Learn more about how to make your photos look better. Double-check once it’s live. After you hit “send,” check your post again. Sometimes, the formatting will change between the time you write your post and the time you hit publish. You may need to go back and adjust the look of things to your liking. If all else fails, delete your post and start over again. Here are some tips to quickly proofread your social media updates. If someone does point out that you—great writer that you are—have made a silly error, try not to react with knee-jerk defensiveness. Even if your persecutor’s post contains more egregious errors than anything you’ve ever written in your life, keep your critique to yourself. Thank the commenter for sharing his or her opinion. And perhaps take responsibility for the error in a lighthearted way: That’s what happens when you hit send before that first cup of coffee! If you do decide to correct the error, make sure to let people know you are going to do it. Acknowledge that the original post was updated/corrected. Otherwise, you might irritate followers even more by making them feel as if their contributions to your feed are unimportant or unnoticed. And remember to keep the mistake in perspective. Sooner or later, everyone is going to post a grammar gaffe or typo. Nobodees Perfict! Question: What do you do when you discover a typo in your own social media feed—fix it immediately or just accept it as part of the cost of doing business in a fast-paced world?